Cash Smiles For The Camera! Do you remember Cash from 2 years ago? He is now a 3 year old beauty and still an absolute delight!! 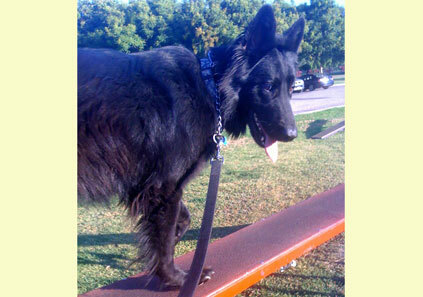 We are now taking dog agility classes – in which he excels! The trainer commented about how much confidence he has!! I’m a proud mama and thought I’d share this glance he gave me when he was on the high walk! Pay attention Cash! You could fall! It’s almost like he wanted to smile for the camera!